this wonderful 1900's villa has all this and more! Offering 3 double bedrooms, 2 bathrooms, with 3 toilets. Open plan modern kitchen and living area. Sunny and warm with a heatpump, double glazing and recent insulation installed, rewiring and replumbing. Single garaging with automatic garage door opener, plus off street parking too. 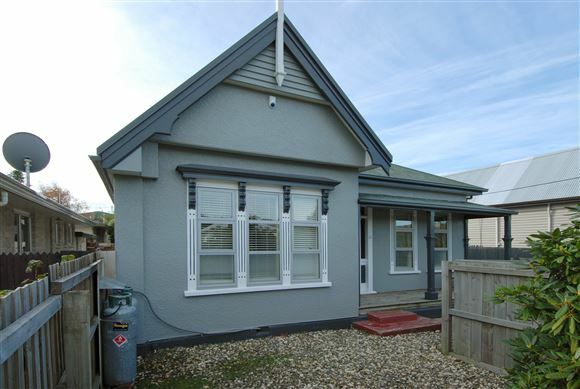 Lovingly maintained and well presented, this lovely character home is situated in a sought after, convenient location with shopping, schools and public transport all nearby. Fast possession, if required. Call today to view. Chattels remaining: Blinds, Drapes, Fixed floor coverings, Light fittings, Dishdrawer, Rangehood, Separate cooktop, Separate oven, Security System, Clothesline, Automatic garage door opener plus 2 x remotes, 46" Sony Bravia TV+Freeview, Heatpump, Supertub, Fisher & Paykel washing machine, Mistral dryer, 2 x heated towel rails, Free standing wardrobe, 3 x extractor fans in toilets.